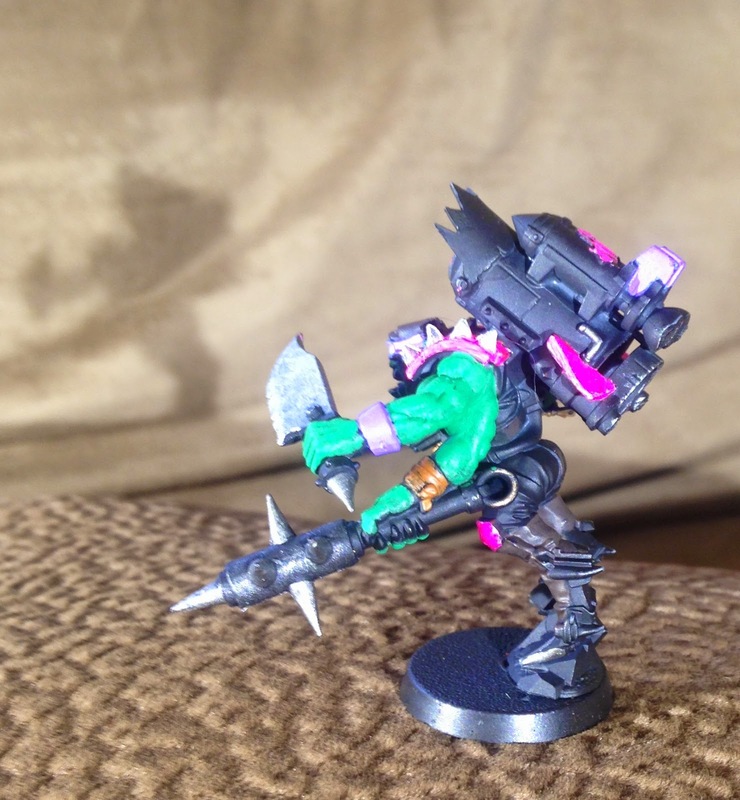 Ever since we assembled the Pink Orks, "the Orkys" with some arms backward, we have been pondering the idea of whether or not this is 'real life' accurate ?? At first we were thinking that the backstory might be that Ork DNA is none-too-stable -- and that sometimes arms simply grow backwards. But, as we read more, we're thinking that a better explanation is the power of Ork regeneration. What we have are Orks who have been reassembled in these odd fashions after battle! The latest Ork Codex, page 6 says: "The greenskin regenerative process itself is so powerful that an Ork who has been hacked to bits can simply be stitched back together." Then - we found this explanation of Ork Doks on the Warhammer 40K Wiki -- and felt we were really on the right track. 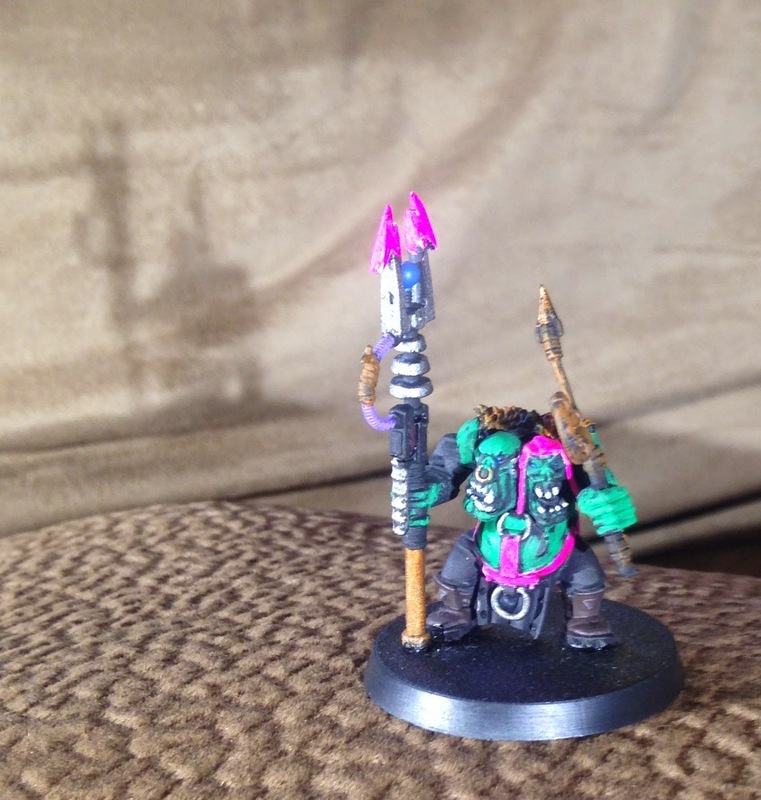 So, with that background, humbly offer our latest work on the Pink Orkys along those lines. First, here is "Lefty". After a Tyranid chomped off his right arm, his mates helped him stitch on a left arm which was lying around the battlefield. Lefty gets mighty tired of having his arm held up in the air - but can't be helped - the way it was stitched on it just won't go down. Then, we have our Runtherd. We haven't worked out a name or story for him yet. 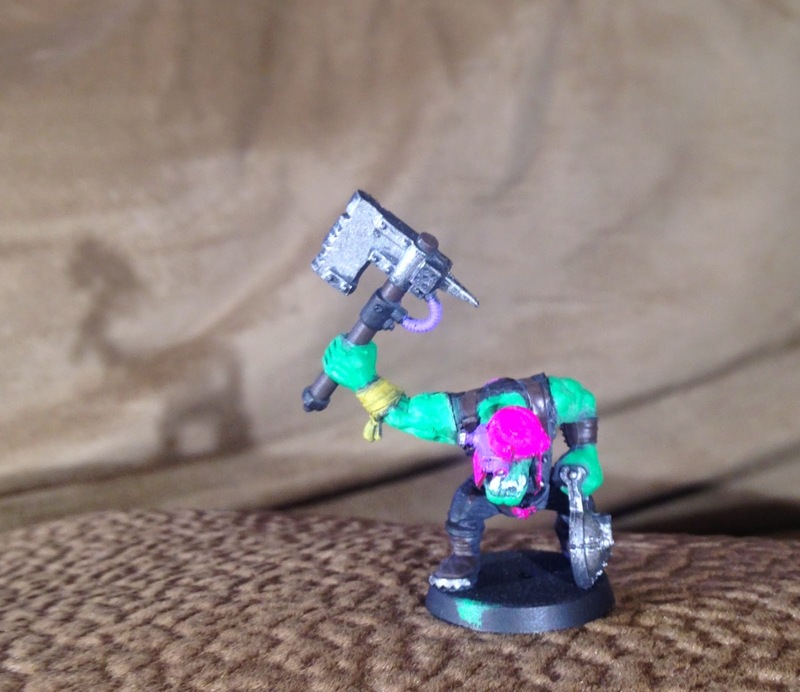 He was one of the first modified Orks we created. We were having a tough time deciding which head to put on the Runtherd when we built our set of Gretchins. "Why not use both" seemed like a good solution. Took a little bit of shaving on the heads and the torso to get them to go on nicely - but seems to have worked out pretty well. 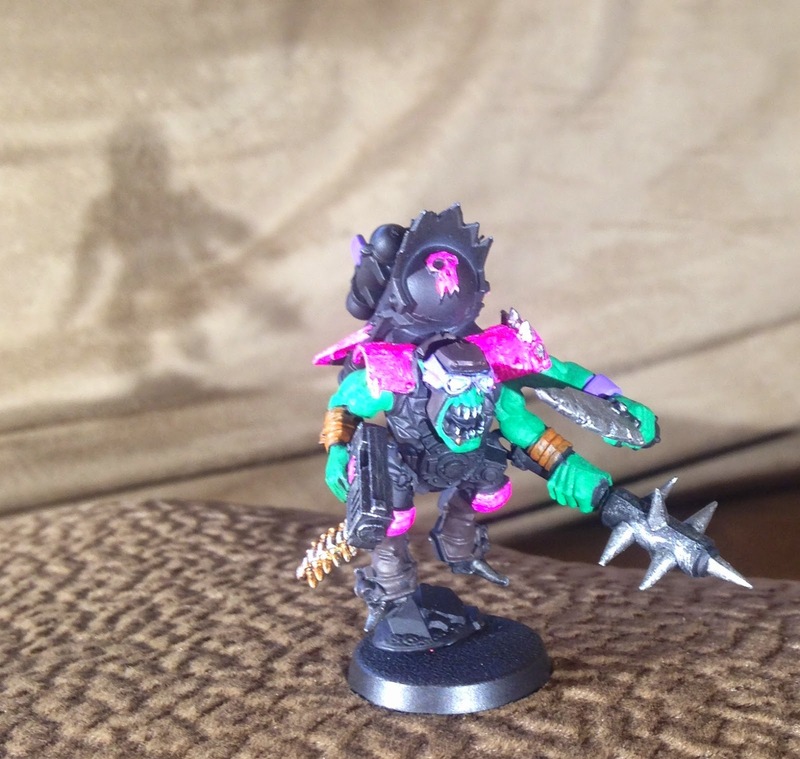 Most recently we have been adding a set of Storm Boyz to the Pink Orky's army. Seemed a shame to make them all 100% per plan - so we added an arm-with-mace from the Ork bits we from Mr. T (here's a link to that blog entry). In addition to adding the third arm, we extended his shoulder-pad armor - helped make the extra bulk of the two left arms look more natural. We welcome any comments or thoughts. One thing we wonder about - is why is it that most Orks look pretty much perfect other than Bioniks? Is it because there are simply so many? We wonder why the Dark Eldar have such a reputation for strange body shapes - when it seems that Orks are proficient from the get-go ? ?